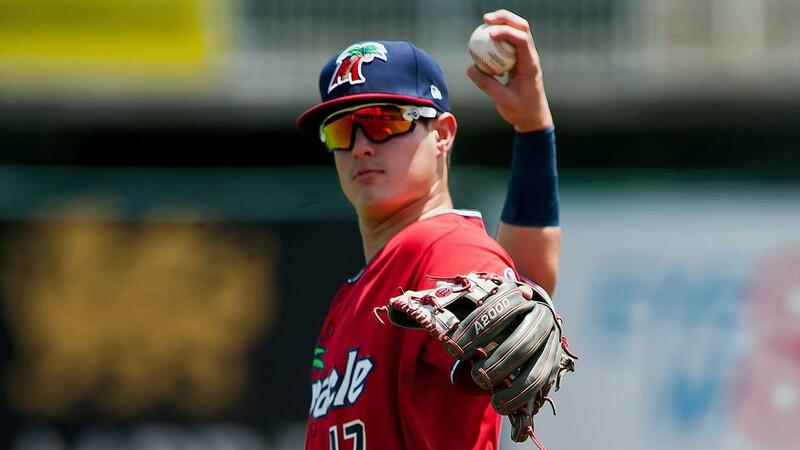 FORT MYERS, Fla. - The Fort Myers Miracle fell a game behind the Charlotte Stone Crabs in the South Division race after losing a 10-inning affair to the Clearwater Threshers, 5-2, on Saturday night at Hammond Stadium. The Miracle will now need to win on Sunday and have the Stone Crabs lose to make the playoffs after Charlotte defeated Florida, 8-2. Tied 2-2 in the 10th, Clearwater plated three runs to break the tie. Henri Lartigue, Mickey Moniak, and Edgar Cabral all produced run scoring hits. Jose Miranda opened the scoring with a solo home run in the fourth. The Miracle lead grew to 2-0 an inning later when Mark Contreras knocked in a run with a ground out. Clearwater tied the game with two outs in the sixth on a Cabral home run. Cabral's blast came with two strikes. The game stayed 2-2 until the 10th when Clearwater erupted for three runs. Miracle starter Edwar Colina allowed two runs in 6.2 innings. The right-hander struck out nine and did not walk a batter. Ryan Mason tossed 2.1 scoreless innings before giving way to Hector Lujan. Lujan (5-5) suffered the loss after surrendering three runs (two earned) in one inning of work. Bailey Falter started for Clearwater and surrendered two runs in seven innings. He picked up a no-decision. Trevor Bettencourt (1-1) earned his first win with two scoreless innings while Jakob Hernandez earned his fifth save with a 1-2-3 10th. The game was delayed by 18 minutes in the middle of the first inning due to rain. The Miracle close out the regular season on Sunday afternoon. First pitch is at 12:00 p.m.